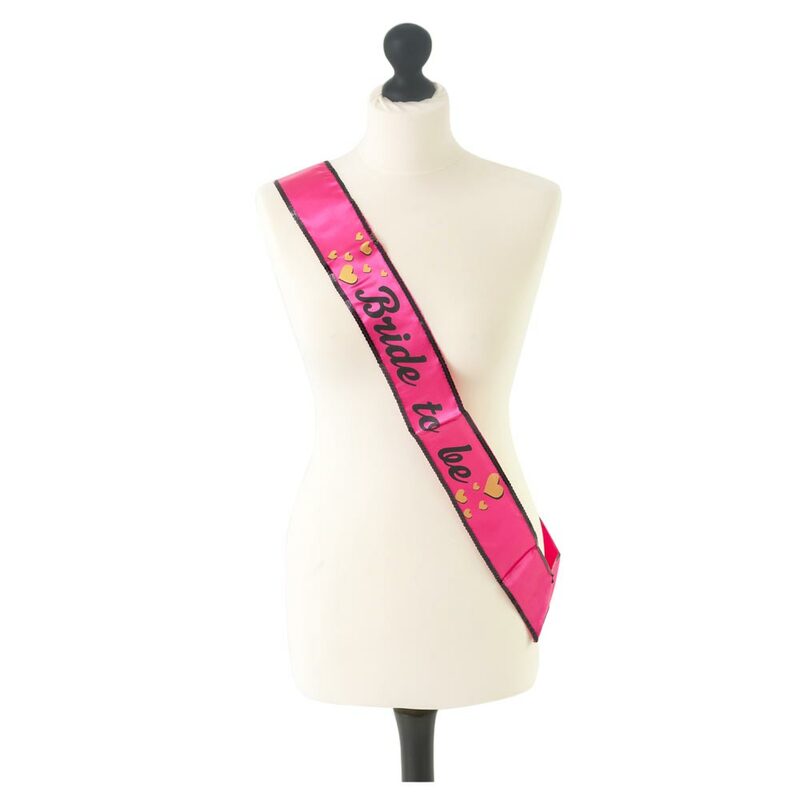 Sashes are a hen party rite of passage. 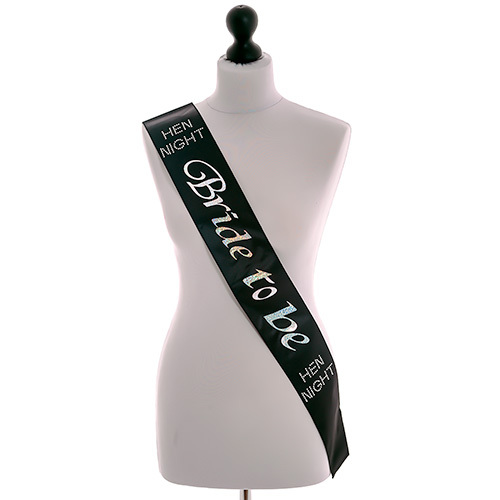 They’re bold, brash and let everyone within eyesight know why you’re celebrating (and to give you a wide birth…). 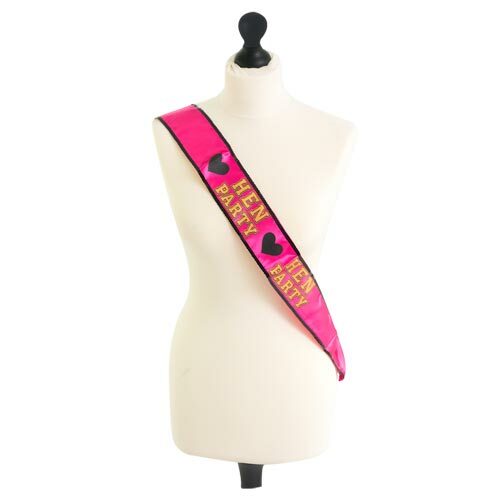 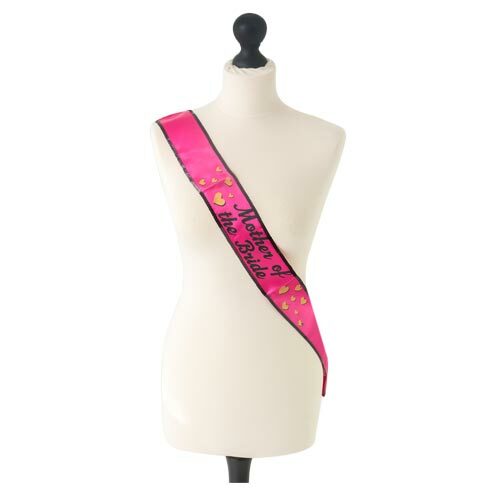 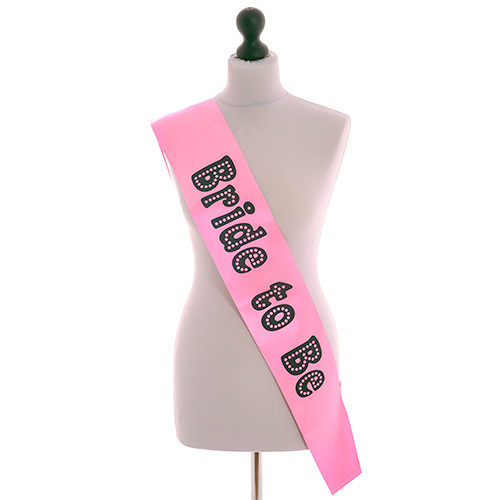 Unlike our other sashes, this is a seriously premium quality Bride-to-Be sash, trimmed with gorgeous black sequins and designed with contrasting gold hearts on the hot pink sash. 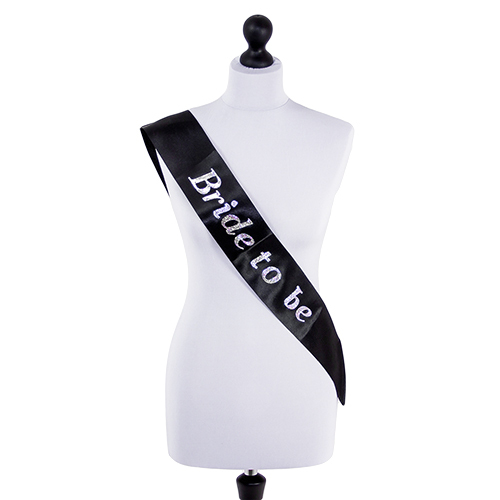 With matching Bridesmaid, Maid of Honour, Mother of the Bride and Hen Party sashes, you’ll look like the classiest hen party there ever was, when downing those shots and eyeing up the cute barman. Measuring approximately 29” long, one size will fit most girls, and will compliment every outfit.